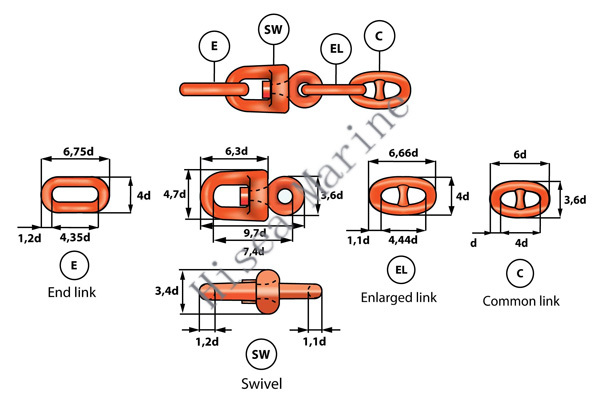 The 5-link swivel forerunner is the most common swivel connection used on ships. 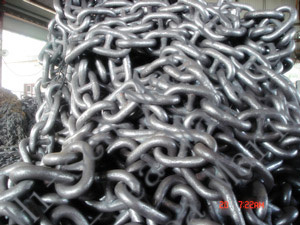 It is economical and safe. 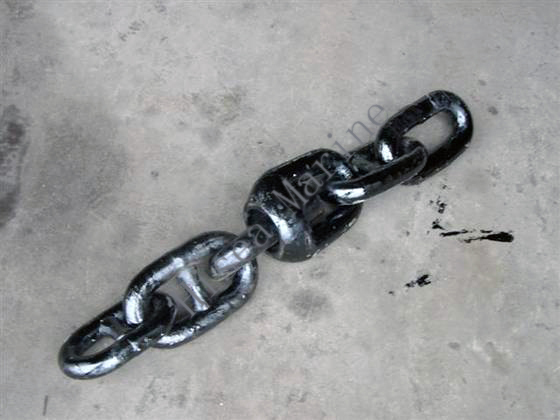 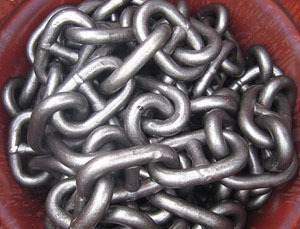 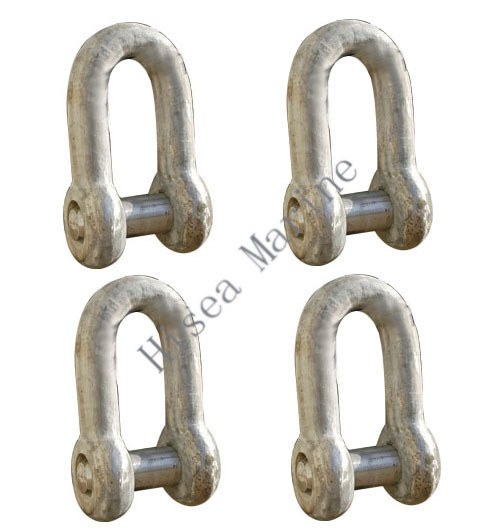 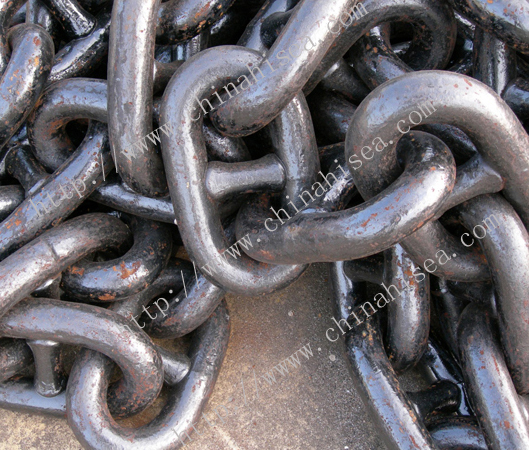 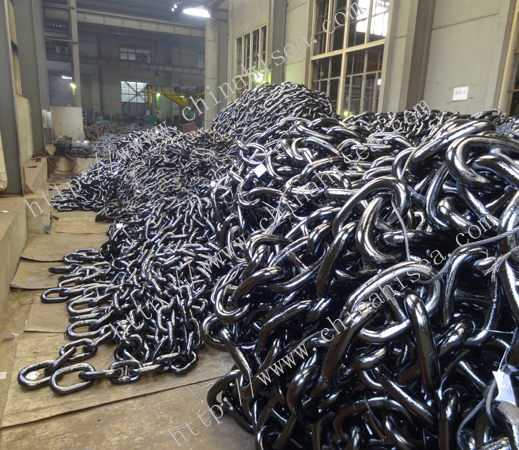 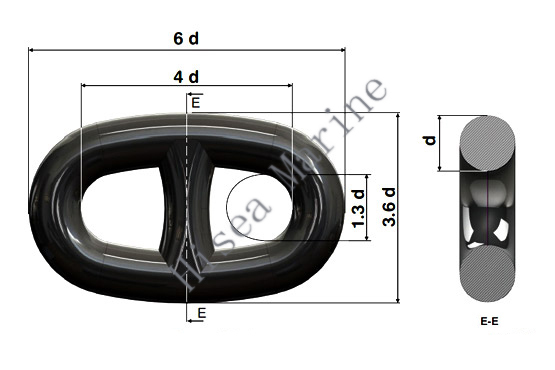 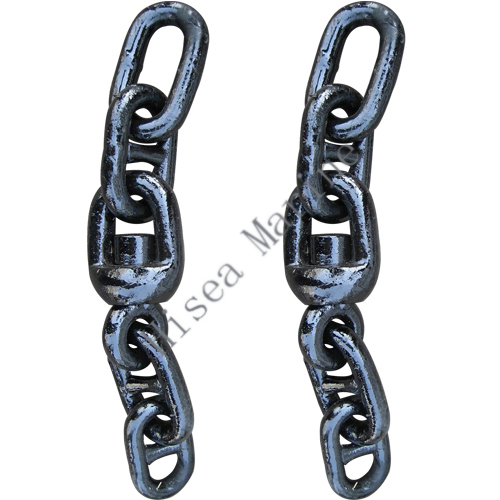 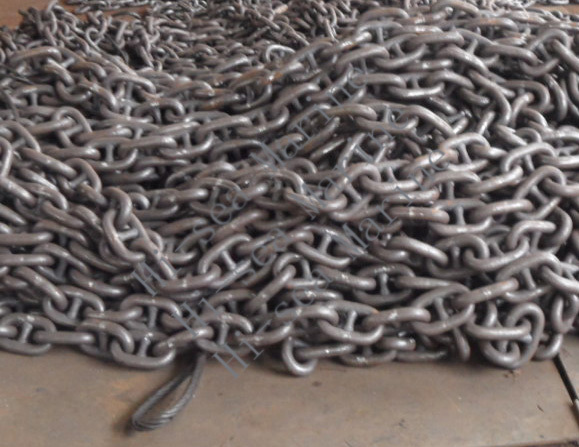 The end with a studless endlink fit the anchor shackle, and the other end with a common link for the kenter shackle. 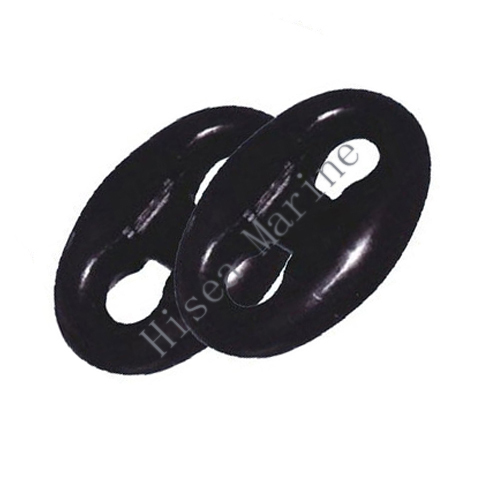 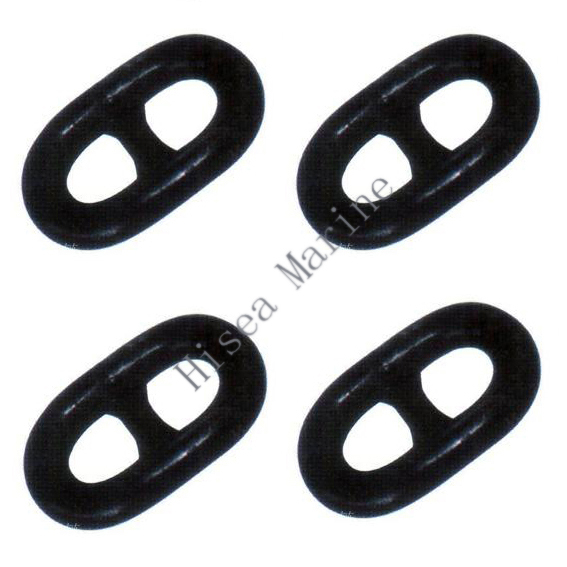 Related products for "Swivel Forerunner"